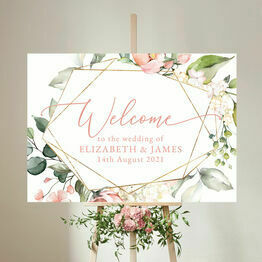 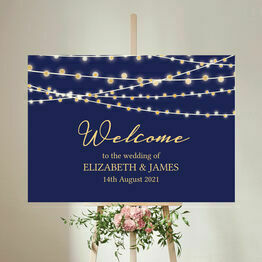 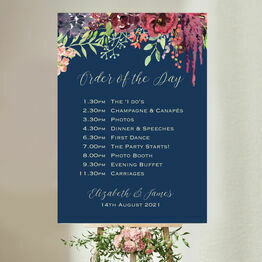 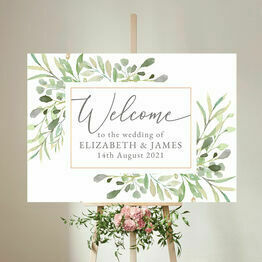 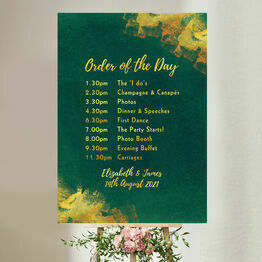 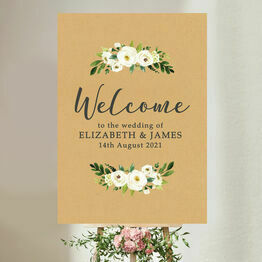 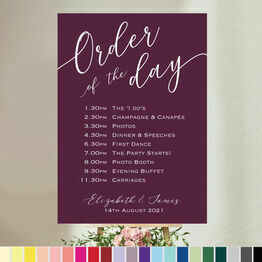 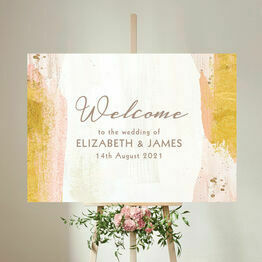 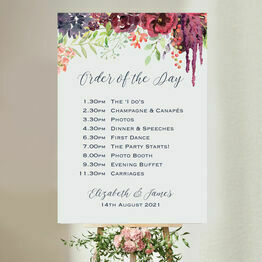 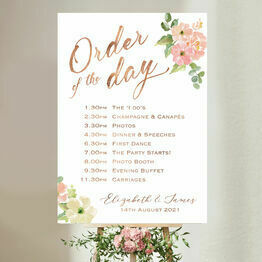 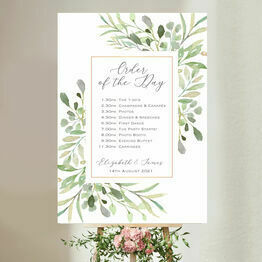 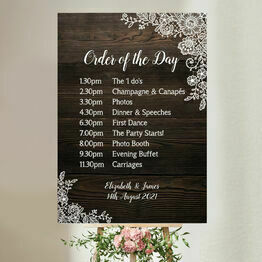 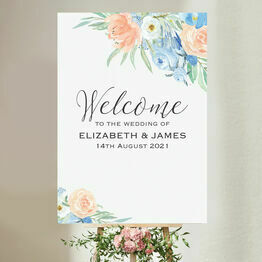 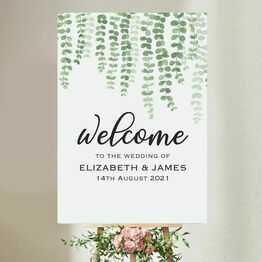 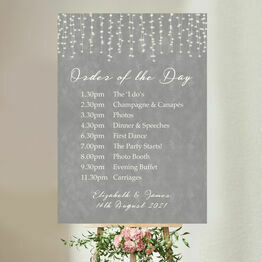 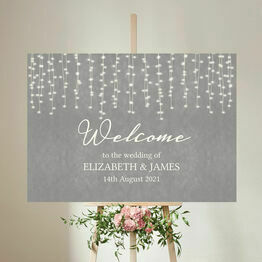 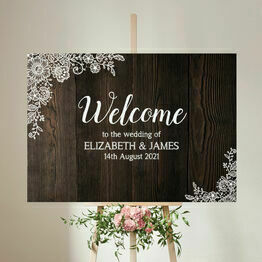 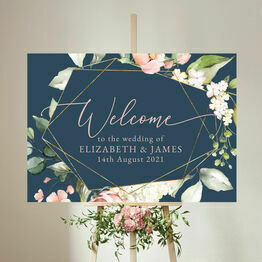 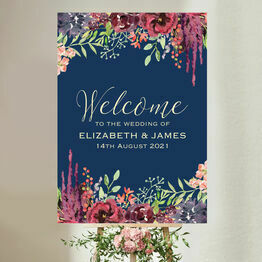 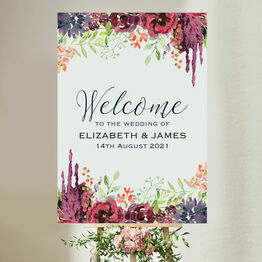 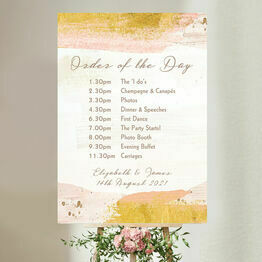 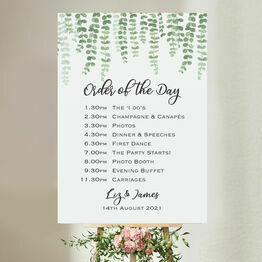 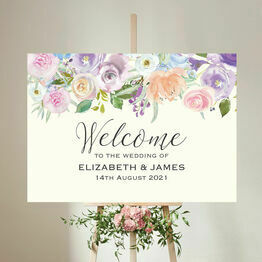 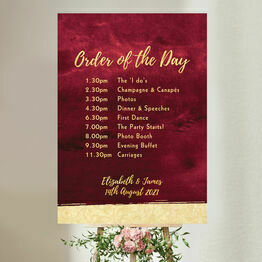 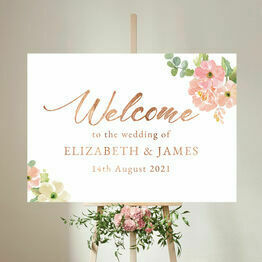 Welcome guests to your wedding or let them know the running order of the big day with our personalised wedding signs. 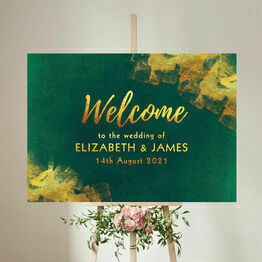 Easy to customise online with names, dates, and important information, each sign is printed on A2 board to create a beautiful display and lovely keepsake. 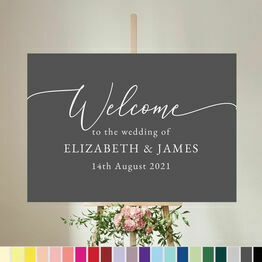 You can also personalise our signs for printing at home or locally by choosing to receive a PDF of your design. 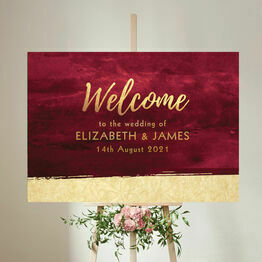 We will make sure your personalised sign is perfect, with a proof before you order.